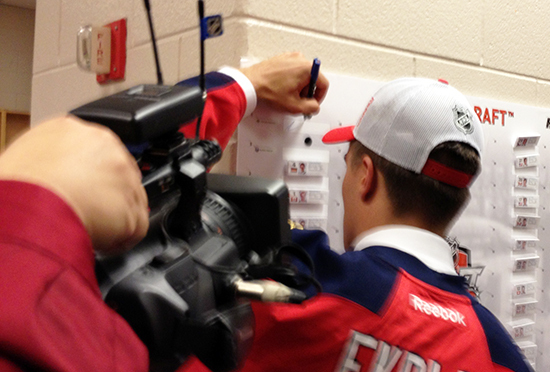 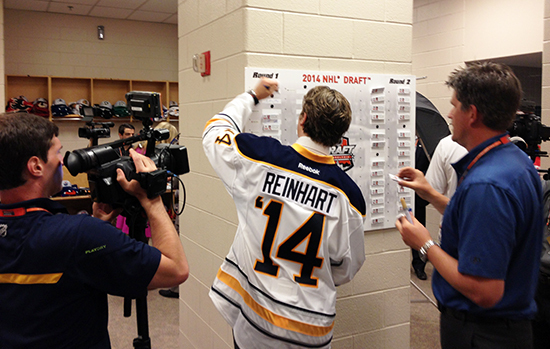 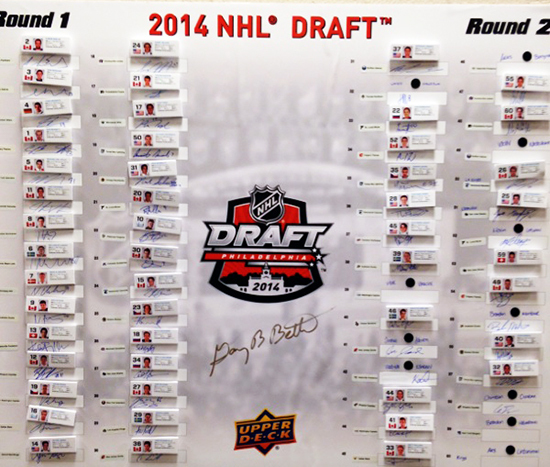 The NHL Draft® is an extremely busy time for UD staffers behind the scenes at “The Gauntlet.” Prospect after prospect pour through and we realized to be able to stay on top of what was happening, we needed to come up with a living draft board so we know which players were going to each of the teams. 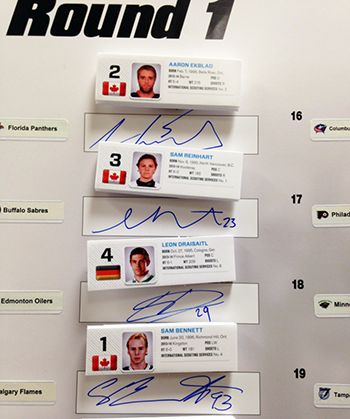 Here’s a preview of what the autographs look like for the top four picks! 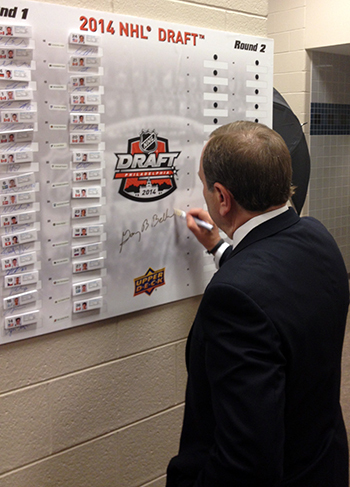 The real kick for us however was when NHL® Commissioner Gary Bettman dropped by and lent his autograph to the draft board. 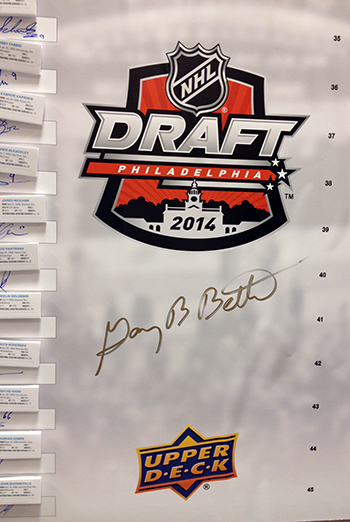 The board will remain on display at Upper Deck headquarters as one of the unique collectibles we have on site to share with visitors and guests.